American Motorcycles Norway / Veteran-Mc.com: " SAY, these 1939 HARLEY-DAVIDSONS are beauties! - The best ever !" 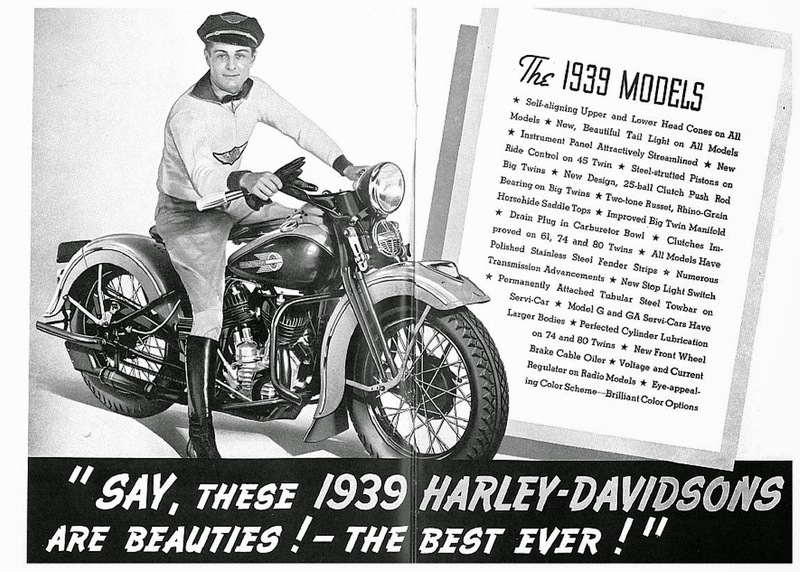 " SAY, these 1939 HARLEY-DAVIDSONS are beauties! - The best ever !" 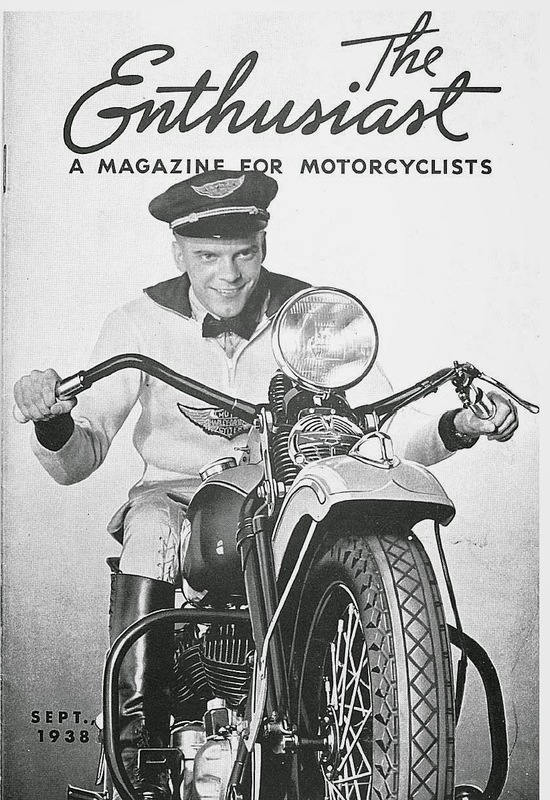 OK, i admit to have wished for a Knucklehead, wished and wished, but most except a few that have come up for sale here have been, ehh not so much Knuckle other than the heads. Mostly a mix of this and that and loads of repop, which would be OK if they where cheap and I wanted to build something else than a original looking ride. Neither are they cheap nor did I want to build something unoriginal looking, and those projects I know of - of course they are not for sale as their owners have a plan. Not that I should complain, I have my Bessie and her 45" siblings, but you know the feeling, the itch, the need, I WANT A KNUCKLEHEAD. 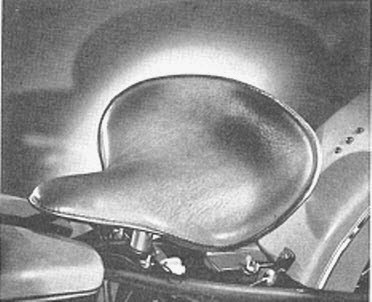 Sometimes it is all about fate, this time fate played nice to me and I was contacted by a gentleman in Oslo offering me to buy his family heirloom, a 1939 Knucklehead. And what a bike, sold new here in Norway by Sørensen & Balchen back in 39, hidden in Sweden during the WWII to be re-registered in 1946, and the bike still have its original 1946 plates on. Original paint in export green, a choice only available for Europe. 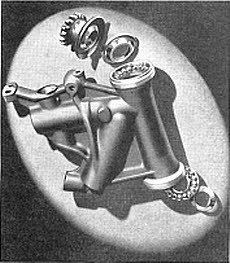 Front page of The Enthusiast September 1938, advertising the new 39 models! Check out all these new improvements for 1939! Re-designed instrument panel, described as eye-appealing and first year for the Beehive tail light! The self-aligning upper and lower head cones, new for 39! Assures smooth and easy handling for the entire life of the motorcycle. The new and classy saddle made of two-tone russet rhino-grain horsehide leather! 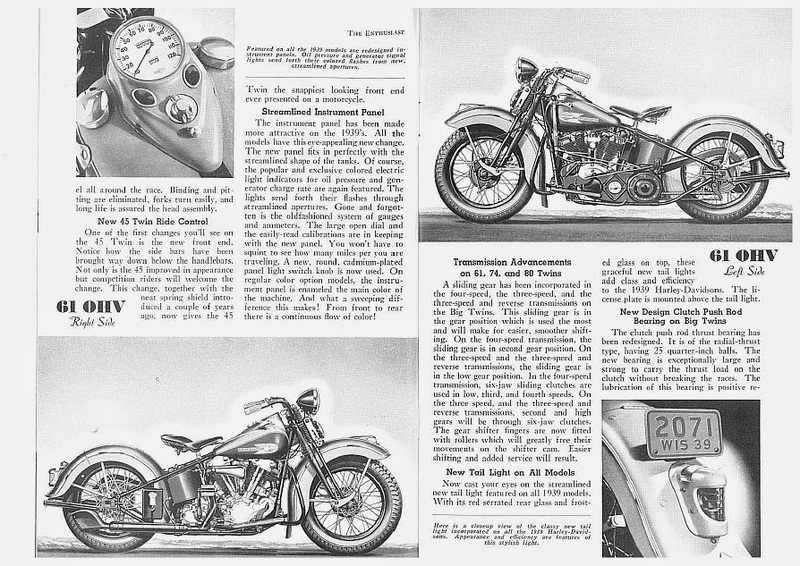 "The motorcycle every rider wants to own some day"
Of course do I want to be as fast as Joe Petrali running at an average SPEED of 136,183mph at Daytona beach in 1937. Of course do I want to have the possibility of going longe ENDURANCE runs as Ted Kennedy when he won the Jack Pine Endurance run in 1938. And who would not want Fred Horn`s STAMINA, he did incredible 1825,2 miles in 24 hours at Muroc dry lake in 1937. All of this was made possible due to their choice of motorcycle, the Harley Davidson 61" OHV model. 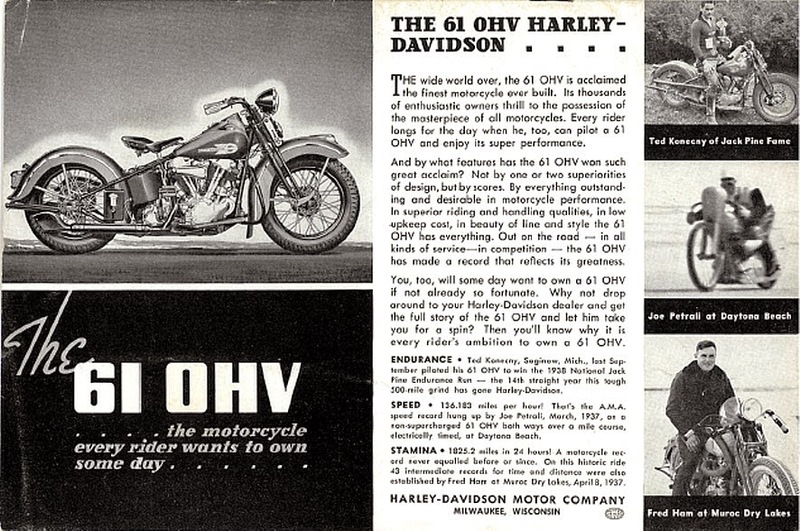 "You, too, will some day want to own a 61" OHV if not already so fortunate". Fantastic my friend!!! I couldn't agree more...my favorite of all time 1939 EL! Anders, Jeff, thanks for kind words.